Kids accused of crimes in the Bay Area are being confined in secure detention facilities at high rates pre-trial, even when “risk assessments” find they’re eligible for release, an NBC Bay Area investigation found. Probation departments refer to those cases as “detention overrides,” and since 2017, nearly 2,000 juveniles determined to be safe for release based on their risk assessment score were locked up nonetheless across four Bay Area counties with the highest override rates. Liz Wagner reports on a story that first aired Friday, November 9. Kids accused of crimes in the Bay Area are being confined in secure detention facilities at high rates pre-trial, even when “risk assessments” find they’re eligible for release, an NBC Bay Area investigation found. Probation departments refer to those cases as “detention overrides,” and since 2017, nearly 2,000 juveniles determined to be safe for release based on their risk assessment score were locked up nonetheless across four Bay Area counties with the highest override rates. Most juvenile probation departments in the Bay Area use a “Detention Risk Assessment Instrument” (DRAI) to determine whether juveniles who are arrested should be held in detention while their cases move through the court system. Kids are scored using the same criteria, mostly to determine if they pose a threat to the community or themselves. Depending on the score, the risk assessment gives a recommendation to either detain or release them. Juvenile justice reform advocates say the tool helps remove bias from detention decisions and keep kids out of juvenile hall who don’t need to be there. 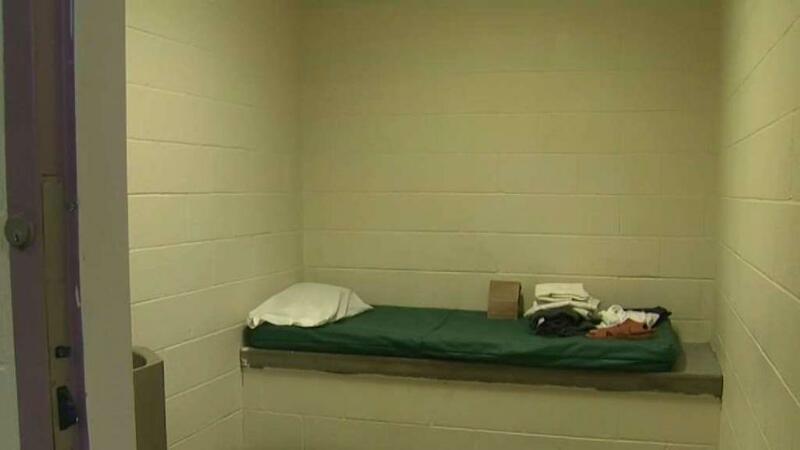 But an NBC Bay Area analysis of juvenile detention data found that in four out of five counties that use risk assessments, more than 80 percent of kids whose score indicated they were release-eligible were detained anyway. Although reform efforts over the past decade, such as the embrace of community-based alternatives to detention, have led to a significant drop in the number of juveniles kept in detention across the Bay Area and much of the country, high detention override rates mean there are still many kids being held in detention who likely don’t need to be, experts warn. Probation departments argue overrides are often necessary to protect the safety of the community or the health of the juvenile. In many cases, county or state policies mandate that a juvenile be locked up regardless of what they score on a risk assessment, such as when they’re accused of a serious felony or have a warrant. In those cases, probation departments say their hands are tied – policy dictates they have to use an override. But other times, probation departments use their own discretion to place a kid eligible for release into detention, such as when probation officers can’t locate a juvenile’s parents, or believe the juvenile may be a flight risk. When NBC Bay Area removed cases from the equation in which policies mandated the detention of a youth despite their risk assessment score, San Francisco, Alameda, Sonoma, and Santa Clara Counties still had “discretionary” detention override rates above 60 percent. Commonly accepted best practices recommend a detention override rate should fall below 20 percent for juvenile probation departments. Anything greater, some warn, is a sign that either the risk assessment tool needs to be overhauled, or probation departments need to place more trust in what the assessment is telling them. Reform advocates and attorneys familiar with the juvenile justice system said that in many counties, the category of offenses that mandate detention is too broad, contributing to high numbers of ”mandatory” overrides. Some cautioned against placing kids in detention in instances where their parents could not be located, or their home environment wasn’t safe. In those cases, they argue, social services agencies or community organizations that deal with foster youth would be more appropriate placements than a secure detention facility. Irvine-Baker said it’s problematic when detention overrides become the norm, rather than the exception. Probation chiefs who spoke to NBC Bay Area said most juvenile offenders accused of minor crimes go straight into diversion programs, so kids given risk assessments are typically facing more serious charges. They argue that could partially explain high override rates in the Bay Area. They also say that while detention overrides are a concern, it’s important to keep overall declining juvenile detention levels in perspective. Most kids given a risk assessment in the Bay Area do, in fact, score high enough to warrant detention. In San Francisco, 3,159 risk assessments were given to juveniles between 2012 and 2017, according to data provided by the Juvenile Probation Department. Of those, most received scores recommending detention. But there were 1,221 kids whose score recommended either outright or conditional release, and most of them – 1,009 in all – were detained anyway. That’s an override rate of nearly 83 percent. The discretionary override rate for that period was 65 percent. Nance said his department has not consistently tracked override rates because they've been satisfied with a juvenile hall population that's shrunk by two-thirds over the past decade. “The reduction in that number has been an indication to us that the process has been working,” Nance said. But after gathering data for NBC Bay Area, he says his department is going to take a closer look at its risk assessment tool and how it uses detention overrides. “Some of the data we pulled together for your agency suggests that there are a sizable number of overrides, but it’s not data that we have done a deep analysis of, and it’s something that based on your inquiry is something we want to look at,” Nance said. A 15-year-old teenager held in detention last year by San Francisco’s Juvenile Probation Department recently sued the agency, claiming he was locked up on charges related to a non-violent property offense, despite a risk assessment score indicating he should be released. Even after a judge ordered the juvenile released at a detention hearing the following day, the lawsuit alleges he was kept in detention for several more days. Nance said he couldn’t comment on pending litigation. Meredith Desautels, a youth justice attorney at Bay Area Legal Aid, is representing the Straughter family in their lawsuit. And research shows that being detained at the front end of a case, Desautels said, leads to longer sentences and worse outcomes for juveniles later on. Of the five Bay Area counties that use Detention Risk Assessment Instruments to inform their detention decisions, Solano County is the only county with an override rate within the recommended range. The county’s probation department, which detained just two kids out of 129 eligible for release since 2017, has an override rate of less than 2 percent. Of the remaining Bay Area counties, Marin County declined to provide data to NBC Bay Area, while Contra Costa County, Napa County and San Mateo County do not use Detention Risk Assessment Instruments. In Santa Clara County, the number of youth detained in Juvenile Hall dropped by 44 percent between 2012 and 2016, according to a recent county report. Even so, Juvenile Probation Chief Laura Garnette said her department is exploring ways to reduce its detention override rate. Garnette said they will begin exploring next steps by spring 2019. Alameda County was the only county to entirely dispute NBC Bay Area’s findings. When NBC Bay Area asked the Juvenile Probation Department about a total override rate of about 90 percent, and a discretionary override rate of about 65 percent, the Department said their override rate is actually significantly lower than those figures. The Department says it calculates its override rate by dividing the number of overrides by the total number of juvenile hall book-ins. But experts say the override rate should be calculated by dividing the number of overrides by the total number of juveniles whose assessment score makes them release eligible. Alameda County’s method, they say, produces a falsely low override rate. Despite the county’s high override rate, a recent report by Impact Justice credits the county for making reductions in racial disparities in its juvenile justice system, which juvenile probation departments across the country continue to struggle with, despite overall declining detention numbers. NBC Bay Area calculated Sonoma County’s override rate to be 88 percent, which drops to 71 percent when excluding mandatory detention cases. The county doesn’t dispute NBC Bay Area’s methodology, but says it calculates its override rate differently. The county said it does not classify cases in which a youth scores low enough to be eligible for release, but is detained anyway because of mandatory detention criteria, as an override. The county also calculates its override rate by dividing the total number of overrides by the total number of risk assessments, producing an override rate of 27 percent. Again, experts warn that methodology produces a falsely low override rate. The Department, which saw its total number of bookings into custody fall from 623 in 2015, to 492 in 2017, said it’s currently exploring ways to reduce the number of both mandatory and discretionary overrides. Juvenile justice reform advocates like Irvine-Baker said there’s a lot riding on the decision to release or detain juveniles as they await the outcome of their case. Even one night in detention, she said, can do lasting harm.